As moms, we do so much every day but it’s important that we also take care of ourselves so we can keep taking care of the ones we love. 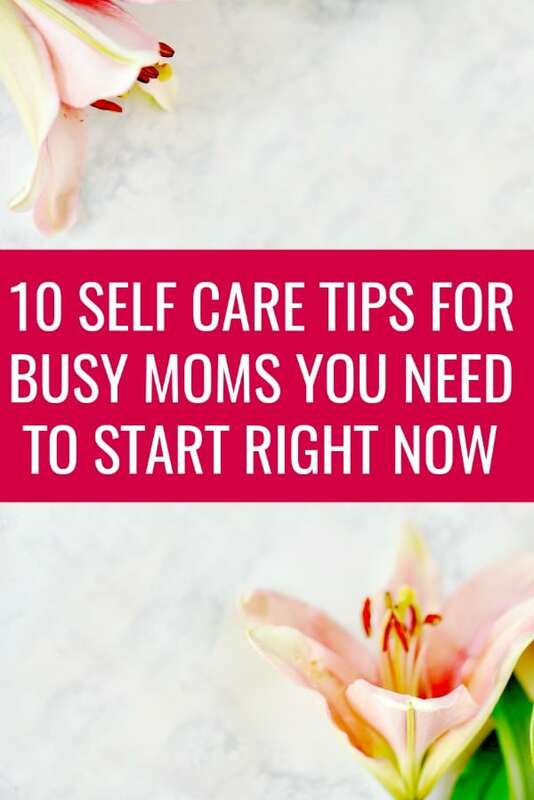 Here are 10 Self Care Tips for Busy Moms You Need to Start Right Now! This post with 10 Self Care Tips for Busy Moms You Need to Start Right Now was sponsored by Mirum. All opinions are my own. As a mom, I’m going nonstop from the time I wake up until my head hits the pillow again. I don’t get to choose my wakeup time, the girl’s school schedule dictates that so I have to be up and running long before I’d want to otherwise. In order to take care of family, home, and business, I need to make sure that I take care of myself no matter how busy I am. If you’re like me and always put your family’s needs above your own, here are 10 self care tips for busy moms you need to start right now! Most of these are easy, affordable ways to take care of yourself so you can take care of others better. Meditation is a recurring theme in self-help books about achieving more and transforming your life. Meditation allows you to clear your head and focus on your breath. It forces you to put life on pause and be in the moment. Doing this first thing in the morning gives you a peaceful, centering start to your day. You can also use this time for prayer. You could write a recap of your day, or if you don’t think you’ll ever go back and reread the journal then try morning pages. I recently started doing morning pages after hearing Amy Landino talk about them and have been really surprised at the difference it’s made in my day. Morning pages are nothing fancy. You just write stream of consciousness style for three full-length notebook pages. There’s no time limit. You just keep writing until you’re done. This usually takes me 20-30 minutes to finish depending on the day. The idea is just to clear your head and do a brain dump to allow you to have a clean slate for the day. Getting your body moving is one of the most important self care tips for busy moms. We’re always on the go, so exercise allows us to keep our body and mind in shape while lowering stress. If you have little kids, that’s ok too. No excuses here. There are plenty of ways you can still workout – involve the kids in your workout, get up early or work with naptimes, or invest in a jogging stroller. Making sure you exercise is not only good for your own self care but setting the example for your kids. One of the things that continually pops up in all of the books I read about to live your best life is to be thankful for what you have. Taking a minute out of your day to appreciate all the good things in life is so important for a happy life. You can take as little or as long as you want with this. I have an old perpetual calendar I got free with a planner which gives me space to write one thing I’m thankful for each day. Using the calendar is perfect for me because this is a new habit for me, so it’s not hard to think about one thing each day. But being mindful and finding that one thing and being intentional about writing it down is so important. You could also combine this with your journaling time to write your gratitude down. It’s so important to engage our minds and such an easy thing to say we don’t have time for. Did you know that the average millionaire reads 2 nonfiction books per month? If you didn’t already like to read, following a millionaire’s example should be good a good motivation to start. I’ve always loved reading but used the time excuse for years after becoming a parent. I’ve learned that reading is easier to sneak into your day than you think. My secret is using audiobooks from a membership site and the library to read more. I can listen to books while I’m driving home from school drop off, while I’m out doing errands, cleaning, and more. Habit stacking being able to listen to an audiobook with cleaning or cooking makes the chores something that I actually look forward to now. Pampering yourself doesn’t have to be a full-on spa day or massage. Although it could be that too. For me, I find being able to have a shower alone without kids or taking a bubble bath to be enough. I love that I can feel pampered at home by just hopping in the shower with Caress. The scents are so luxurious and pleasant and my skin feels super soft and silky when I’m through. You probably had hobbies before becoming a mom. One of the most fun self care tips is to go back to those again. You don’t have to make a huge time commitment to your hobby. Just carve out some time for your hobby each day or a few times a week. Whether you like taking photos, doing puzzles, gardening, or crafting there is enough time for your hobby. Maybe just not as much as you’d like. You may not want to add another item to your already crazy schedule, but keeping regular doctor’s appointments is such an important self care tip. Having that peace of mind that you’re doing everything you can to keep your body in its best shape gives incredible peace of mind. One of the only things I miss about life before becoming a mom is sleep. I thought I was sleep deprived then but had no clue how little I knew. I know that there are different seasons of parenting and this may be easier for some than others, but you should try and give yourself this gift. Life with kids is busy and full, but you are a better mom when you take the time to ensure you get the sleep you need. Go to bed earlier, sleep in, nap while your kid’s nap, or take turns napping with your husband so you’re both rested. As moms, we try to do it all. Sometimes too much and life gets completely overwhelming. If you can afford it, a self care idea that may make a world of difference is to accept help from other people. That can take the form of ordering take out more, getting a housekeeper, or creating a chore chart and getting the kids to help. It could also mean, asking the grandparents to watch the kids so you can clean the house, go out on a date, or simply take a bath…alone. 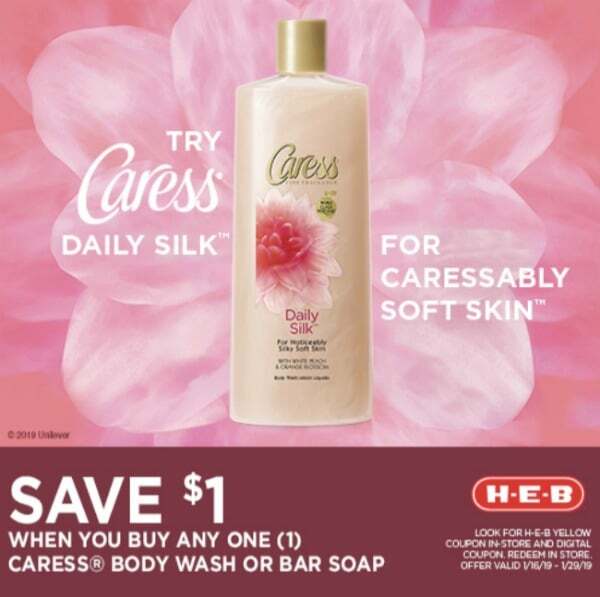 Right now you can save $1 on Caress® at H-E-B! Just look for the yellow coupon in-store or snag the digital coupon to redeem in store. You can save on Body Wash (13.5oz – 18oz), Body Sprays (3.1oz), and Bar Soap (6ct or larger) through 1/29/19. 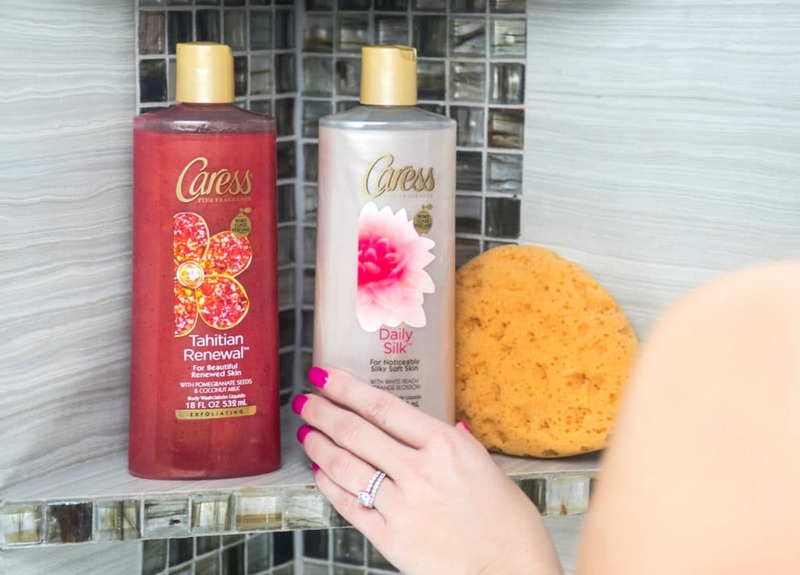 Do you pamper yourself with Caress or use any of these self care tips? 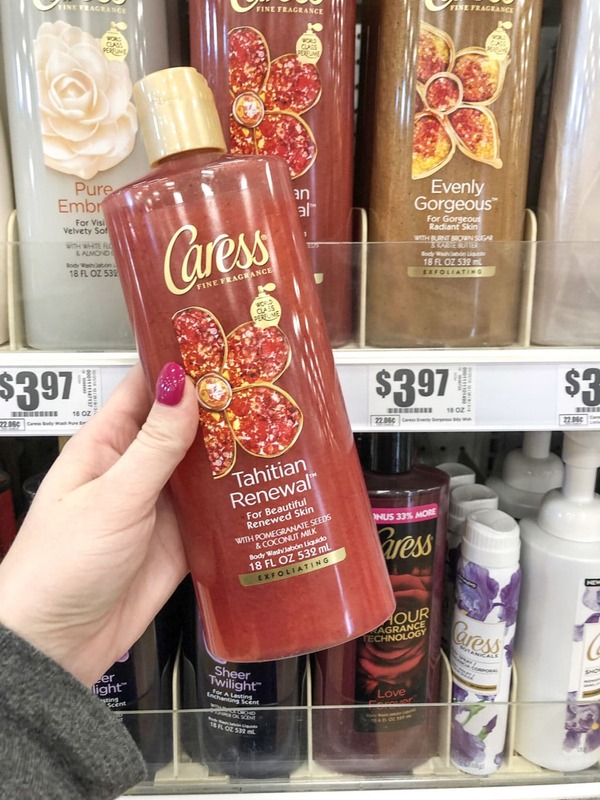 Share your favorite Caress scent or product with me!